If you’re planning a major outdoor function such as a concert or construction project, and you’re searching for Cape May County portable toilet rental, try Starr Septic Services. We’re based a short distance away in Franklinville, and we offer septic services to residents and businesses throughout South Jersey. Clean and usable portable toilets are a necessity for keeping an outdoor area clean while hosting large crowds. Whether your project requires a single day, weekly or a long term monthly rental, Starr can deliver sanitary and affordable units to your event site. We offer easy to use ADA-compliant units, and you can request hand wash stations with foot pumps to be included. Should you need a longer term rental of a few days or more, we’ll take care of the pumping services to keep your units clean and empty. We’ll also be sure that the units are properly stocked with paper and other sanitary products. Our rental agreements are flexible, and we can adapt the agreement to meet your changing needs. Do you have a need for more than just a few portable toilets? 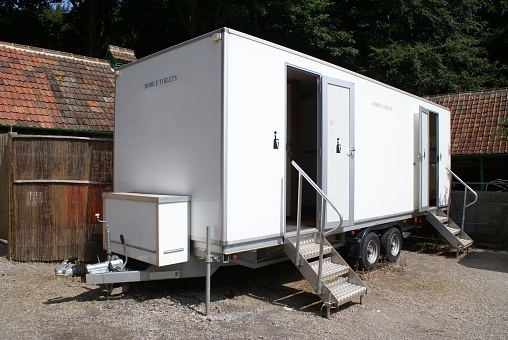 For extra large events or lengthy construction projects, try one of our restroom trailers. Our trailers feature creature comforts that go beyond simple portable units…including actual toilets, running water, washing sinks and private areas for men and women. Our trailers are perfect for large fundraisers, corporate events, concerts, or long term construction sites. Be prepared for your next event. Use this online form to request a free quote, or call Starr today at (856) 875-5020 to discuss your Cape May County portable toilet rental needs. Don’t forget to ask about flexible pricing for long term rentals…contact Starr Septic today!